Arguably the best characters in cinema history are villains. Although it may be hard to sympathise with serial killers and psychopaths – we can’t help but applaud the movie monsters that commit their heinous acts of horror in style. Getting into the spirit of Halloween, we present 7 of the most stylish monsters in movie history. 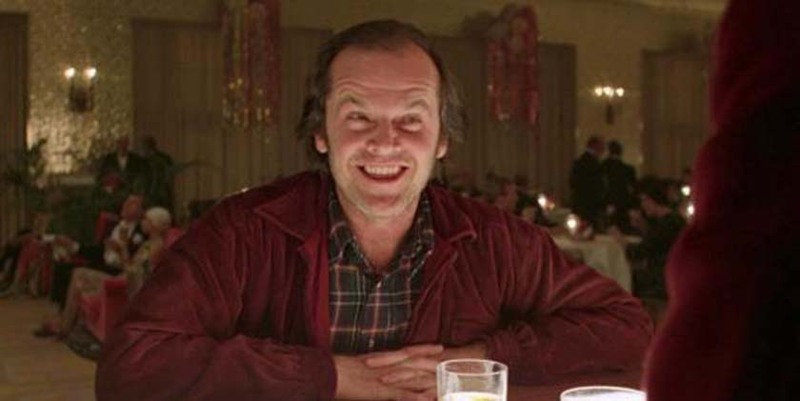 All work and no play may make Jack a dull boy, but we think his style is anything but drab. 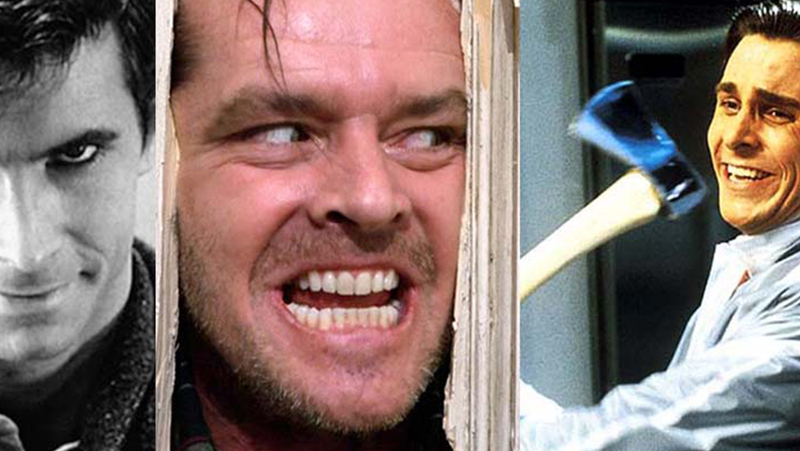 The Shining was released in 1980, and Jack Torrance’s iconic outfit proves that a good flannel shirt transcends the passage of time. The real statement piece however, is his burgundy cord blouson jacket by Margaret Howell. Jack Nicholson was an early fan of this British designer, so much so in fact, that he insisted on wearing his own corduroy jacket for the part of Jack Torrance. This promoted an order for 12 duplicate jackets from Director, Stanley Kubrick. Perhaps if Torrance had accessorised with a hat and scarf [SPOILER ALERT] he might not suffered such a, uhm, frosty death. You might not think a coming of age vampire film from the 80’s is the best place for style inspiration, and you’re probably right. The majority of the cast are clad in every bright pastel colour imaginable, with clashing patterns and every single collar is sufficiently popped. The outfits blend into the technicolour background of the Californian beach town, producing an effect that should probably come with a seizure inducing warning. 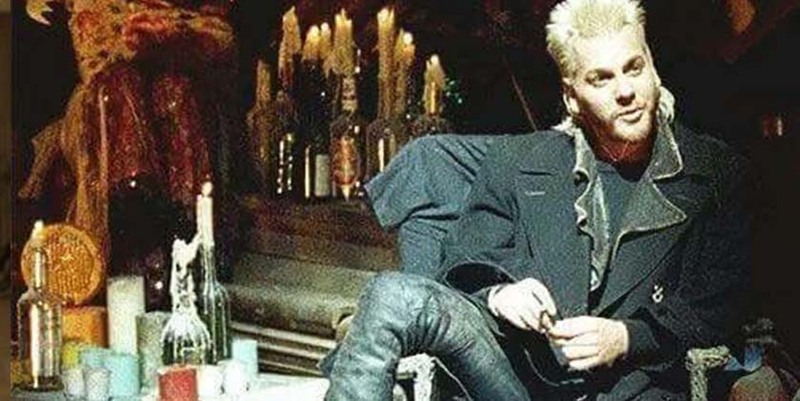 This overload of colour is what makes David (Kiefer Sutherland), and the rest of the all-black-wearing Lost Boys style so striking. Every subculture has its distinctive fashion traits, and these Vampires are no different. Clearly inspired by New Romantic fashion, David looks like a gothic Bowie with a mullet. Which as iconic as that is, we’re glad it’s not a trend we have to embrace in 2018. Our days of questionable haircuts are well and truly behind us. 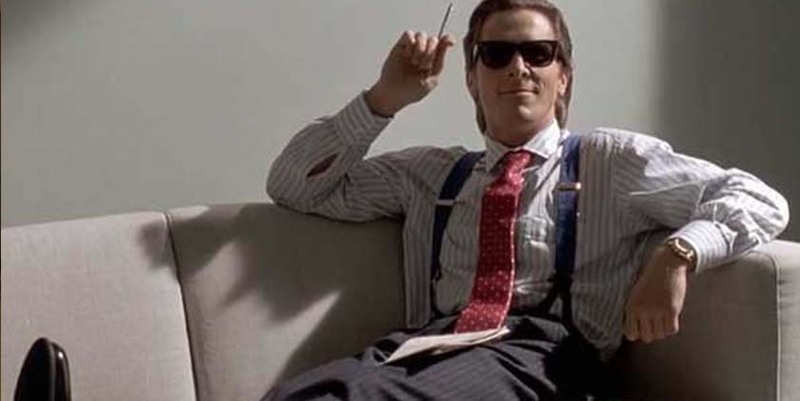 To say Patrick Bateman (Christian Bale) has a killer wardrobe would be an understatement. Classic fit, pinstripe suits and meticulously groomed hair is his signature look. Obsessed with the big labels at the time, Bateman knows his Givenchy from his Armani. He is so precious of his designer threads that he keeps a raincoat on hand for when he goes on murderous rampages; now that is commitment to fashion! Despite trends, brands and fashion changing throughout the decades, you only need to look at the fashion on Wall Street to see that the ideals of Bateman are alive and well today. So if you’re on the train and a well-dressed stranger, rocking the newest iPhone, and blaring Huey Lewis through his designer headphones sits beside you… maybe move seats. 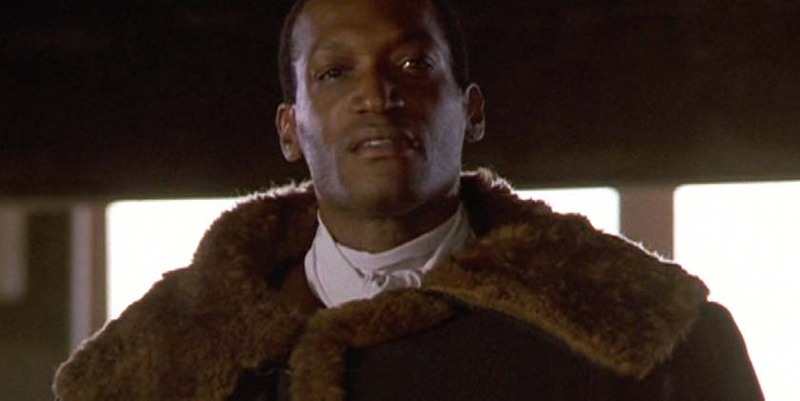 This hook-wielding villain may have horrific exposed flesh and a bee infestation lurking under his clothes, but he sure hides it in style with that fabulous fur trimmed overcoat. We’re considering saying his name three times in the mirror in the hope that he will appear so we can ask for some fashion tips. 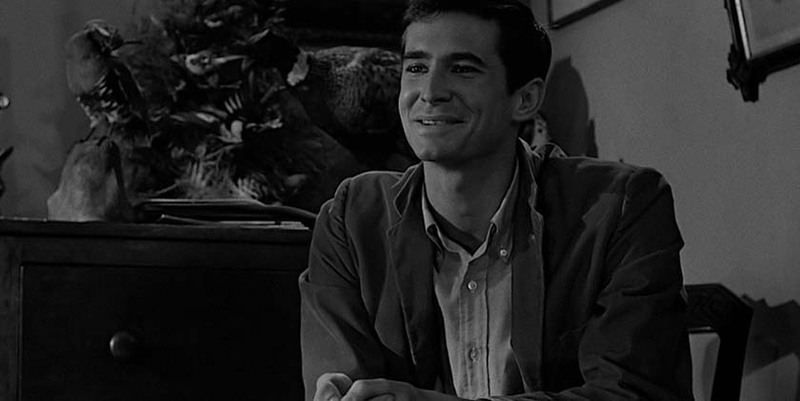 Norman Bates (Anthony Perkins) is a lot of things, and one of those things is a suave dresser! He rocks a “boy next door” look with simple oxfords, flat front trousers, and plain crew neck jumpers. He wasn’t afraid to be bold with his fashion choices either, opting for gender fluid pieces, which was very daring for the 1960’s. We just hope his mother didn’t get too mad when he borrowed her clothes from time to time. You don’t get much more dapper than Gary Oldman as Dracula in Francis Ford Coppola’s take on this classic story. His perfectly tailored, charcoal suit, and dandyish shades is a look that is a million miles away from the traditional Count Dracula image of black cape and evening wear. As striking as this look is we can’t help but think about how much of a nightmare getting bloodstains out of that suit would be. Le Chiffre (Mads Mikkelsen) is an iconic Bond villain - an evil financer of international terrorism. Gambling millions on games of chance and probabilities is how he makes a living, but he takes no risks when it comes to his fashion game. Opting for immaculate black suits, he is the epitome of stylish Bond villain. He also suffers from haemolacria, which causes his left eye to weep blood – which just makes his villainous look even more sinister. If you’re feeling inspired by these stylish movie monsters, then get a killer look of your own with our huge collection of quality men’s shoes.